First things first, massive apologies for the lack of posts over the last week or so. Things have been busy in both good ways (my Perfume Lovers London talk etc) and bad ways (job hunting) and the blog has had to take a little bit of a back seat. Thank you for bearing with me and things should now run on their usual schedule! I’m quite partial to the odd piece of clothing or accessory from British clothing brand Superdry. I currently rock a coat, couple of shirts and a rather snazzy pair of specs from their collection and I’m attracted to the brand’s laid back style which seems to be a mish-mash of Japanese graphics and vintage Americana. As for Superdry fragrances, well up until very recently my exposure was minimal. 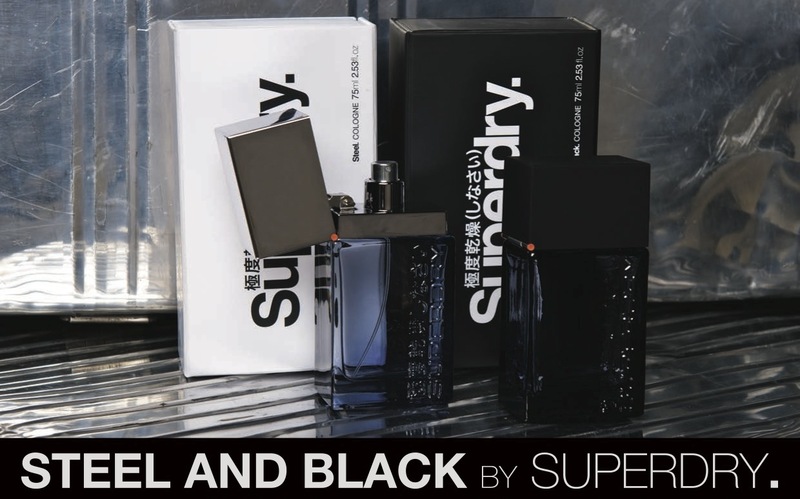 I haven’t spent too much time with the brand’s first three scents (Dry, Double Dry and Dry Oil) but I remember them being relatively well done (one in particular was a nice take on Dior Homme) so it was with great interest that I accepted an offer to try the fragrances in Superdry’s Cologne collection.